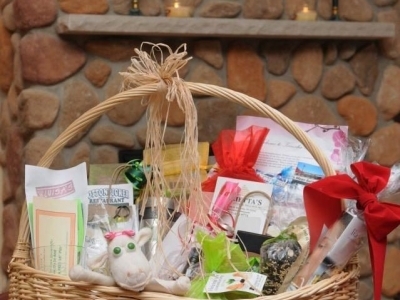 Celebrate Home teaches you to welcome new homeowners with a generous basket filled with community information and gifts and gift certificates from local businesses. Celebrate Home helps local non-profit organizations by providing new homeowners with a list of each group’s needs and volunteering opportunities – all FREE OF CHARGE to the non-profit organization! These spectacular gift baskets are a sure way to bring new customers into your potential business sponsor’s place of business. Every item is beautifully packaged as an individual gift and nestled into the basket, making a stunning presentation for a delighted homeowner. 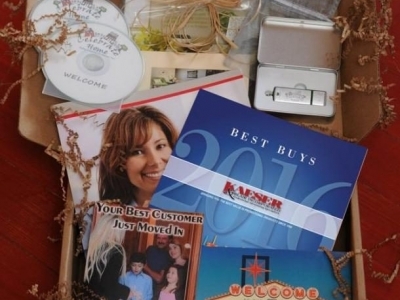 There are other direct mailing advertising companies out there (such as moving mailers and welcome wagon). They send their 10% off coupons and small offers to the masses while we target 30 higher end homes each month who have the money to infuse into the community and give them gifts and gift certificates they will not likely to throw out such as free haircuts, free rib eye steaks from the butcher, free bowling, free clean and check on their furnace, free food galore at local restaurants plus we deliver a list of needs from nonprofit organizations to the new homeowner so they know where they can donate while they unpack. Celebrate Home’s business opportunity makes it easy to grow your business quickly. Included in the program are over 60 different templates of professionally branded digital files for running a successful welcome service. Simply fill in your information on each template and you are ready to run your business instantly with ease! Since selling this program starting in 2012, we are now in 34 States, 3 Providences in Canada and in Australia and we can boast that we have an A+ rating with the Better Business Bureau. We are growing quickly with our pricing and business model. This business is truly a Win-Win business opportunity. We're looking for compassionate community members who desire to work from home and help grow small business, their local economy and help non-profits while earning an extremely generous income. Exclusive territories available near you. ✓ The formula for running your business with ease: 60+ different templates of professionally branded digital files for running a successful welcome service. ✓ Easy-to-implement model with clear instructions for running a successful welcome service targeting new homeowners. ✓ Power-packed training audio CD that includes the story of the company’s founding, as well as key strategies for personal touch marketing, presentations, sales, and team-building. ✓ Exclusive Territories: This is one of our most important benefits. Our territories are structured to prevent encroachment from other dealers. ✓ Innovative Marketing & Advertising: In a world where newspapers are getting thinner and television/radio advertisement are becoming more unaffordable, Celebrate Homes offers a unique, personal marketing opportunity. 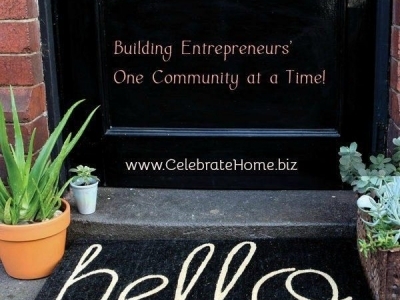 ✓ Visit us at www.celebratehome.biz to learn more about how you can help your community. ✓ Earn a $100 referral fee if you find a buyer for this opportunity. Celebrate Home is one of the most amazing concepts I have found in marketing. It's, simply put, brilliant! After researching it a bit, I have acquired two territories for myself. It has an incredible "wow factor" with everyone I meet. It drives curiosity, and it's a low cost, high reward marketing stream for the business owners you are selling too. In fact, the concept is so simple that it almost makes the sales process weird because you can share the whole program and all the benefits in about 5 minutes with someone. A normal sales process is much longer. The concept is so incredible it practically sells itself. It's cheaper than direct mail, new paper ads, Facebook ads, google ad words, etc. So it's really a no brainer for your clients. If you are looking for a new stream of income for yourself...you simply must look into CelebrateHome.biz. Plus, it's a pure joy to work with the owner, Dawn who is an amazing person who wants to see you succeed. I bought a kit 2 months ago and filled out my name and company name and my phone number on all the templates and ordered my forms and business cards and I was ready to go. I have signed over 20 businesses less than 2 months. Thank you, Dawn for all of your patience with my endless questions, telling me how to sell with heart and for writing this program that has already changed my life. You were right when you said people don't care to know what you know until they know that you care. That stuck with me and it is true. The value of this business opportunity is amazing. The startup price for most business opportunities is expensive but Dawn made it extremely affordable. In fact, I thought it was too reasonable for what they were offering: the kit, the advice, and the conference calls. The profits earned in this business produce long term results in a fairly short amount of time unlike other businesses that take years. 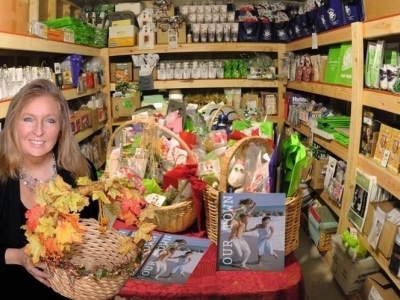 Dawn developed a very detailed business program for Celebrate Home, leaving nothing out. The templates include letters to clients and homeowners, client contracts, employee contracts, letter heads, the company logo; excel spreadsheets for various lists & bookkeeping, sample phone/visit scripts, and much more. Not only were the templates helpful but Dawn has been there every step of the way. Dawn made it so easy to start a personal touch advertising business by doing the planning for new interested entrepreneurs. Training Comments: Celebrate Homes Business Opportunity makes it easy to grow your business quickly. It includes over 60 different templates of professionally branded digital files for running a successful welcome service. All you will need to do is fill in your information on each template provided, and you are ready to run your business instantly with ease! Support Comments: Support provided including Marketing, Technical, headquarters and ongoing support.